Boil the rice in a big pot of water for about 25-30 minutes until soft. Use a skillet and sauté the onions in the olive oil for about 5 minutes until golden brown. Use a big bowl and mix half the rice with the filling ingredients and the onion. To make the outer cabbage leaves soft boil them for about 5 minutes in water. The rest of the cabbage can be chopped and sauteed for 5-10 minutes as a side dish or put into the mixture with the filling. 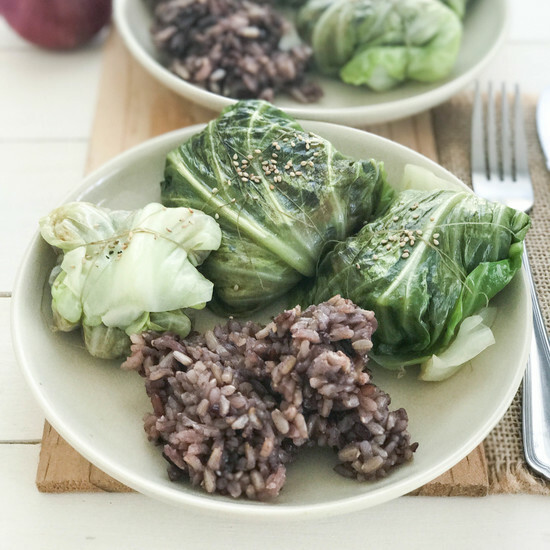 To stuff the cabbage leaves place about 1 TBS or more on the leaf and fold it, to make sure no filling comes out wrap it with twine. Before serving fry the stuffed cabbage leaves in olive oil with the rest of the cabbage for about 5 minutes. 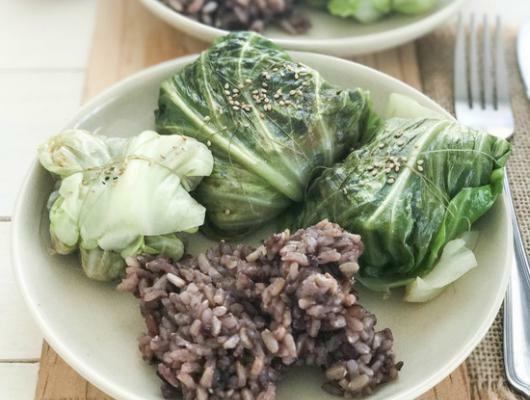 Put the stuffed leaves on a plate and sprinkle with the topping, serve the rest of the rice and cabbage as side dish.